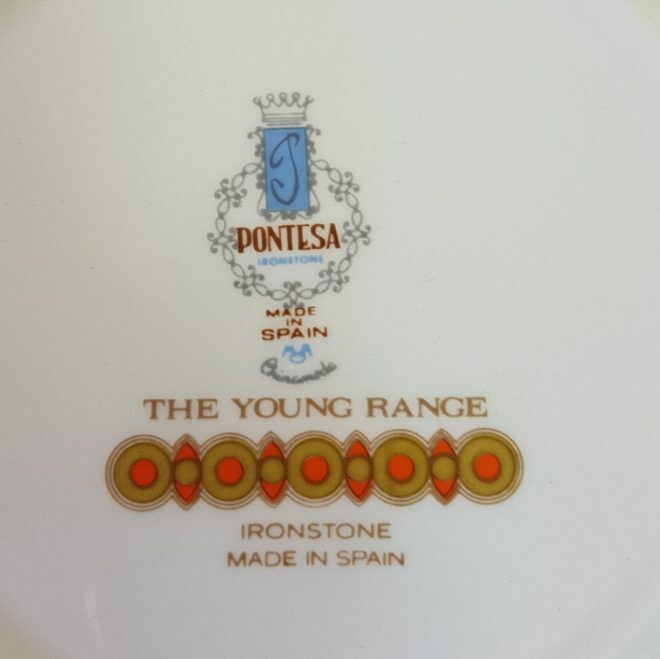 Two wonderful bright and cheerful vintage ironstone trio sets by Pontesa of Spain, each comprising of cup, saucer and side plate, together with one large plate. 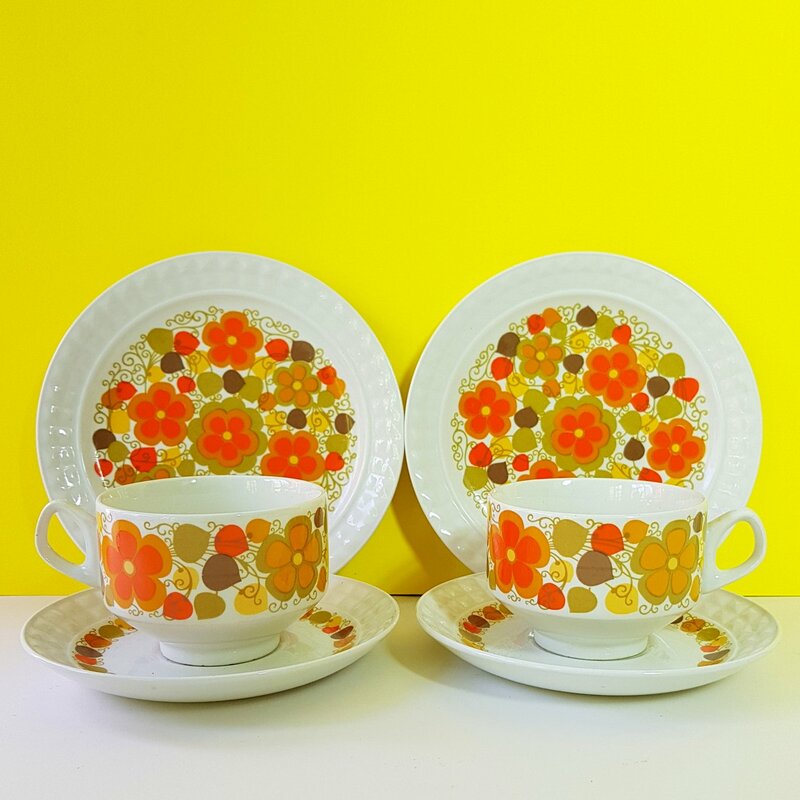 The pattern is FANTASIA. 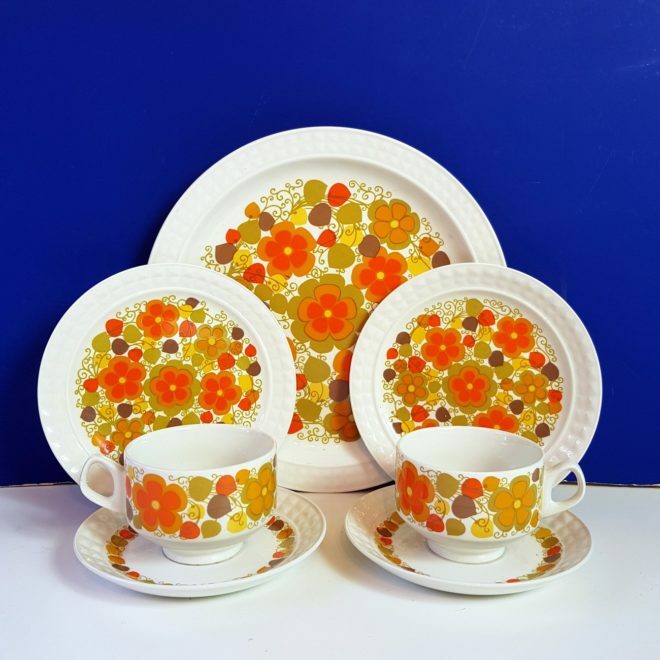 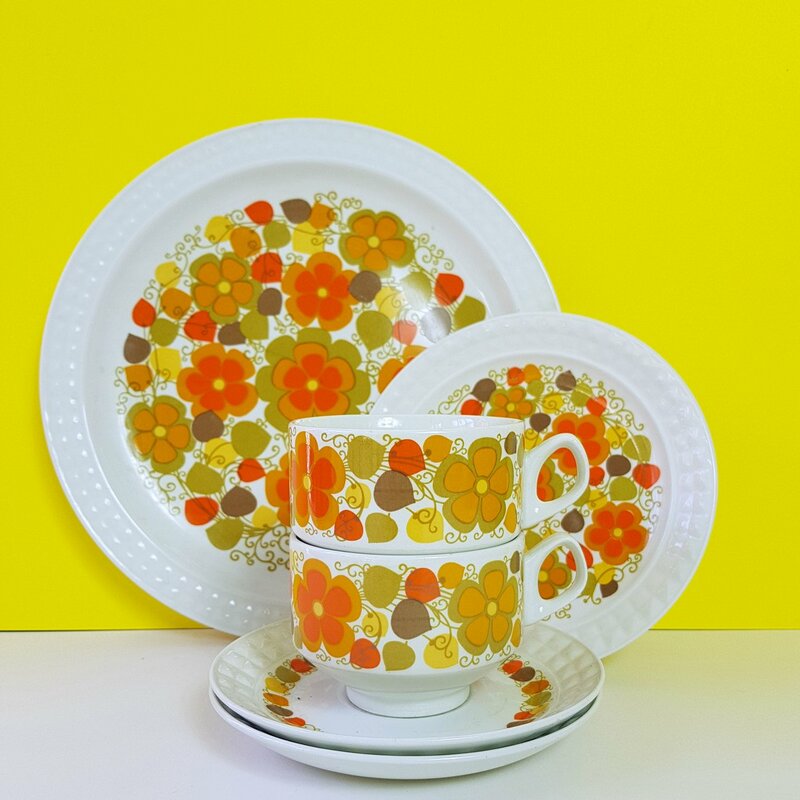 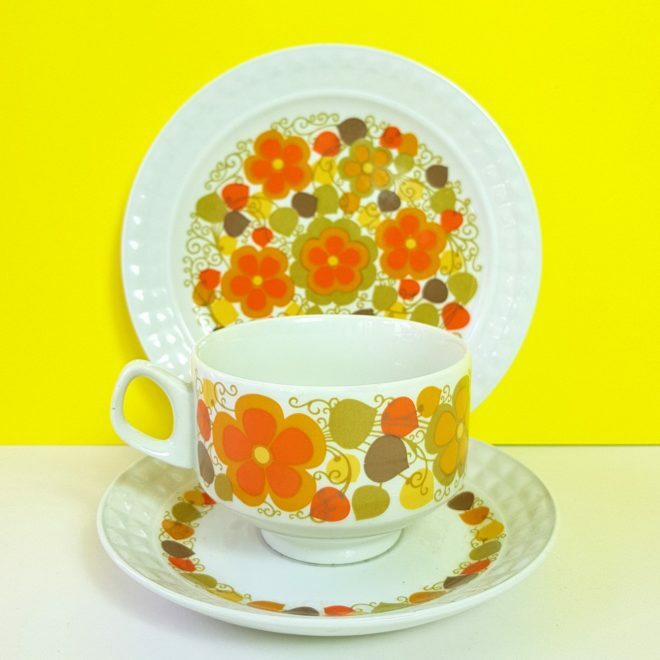 This lovely orange and yellow floral pattern is from the manufacturers ‘The Young Range’ of the early 1970s, which was one of their succesful patterns of that time. 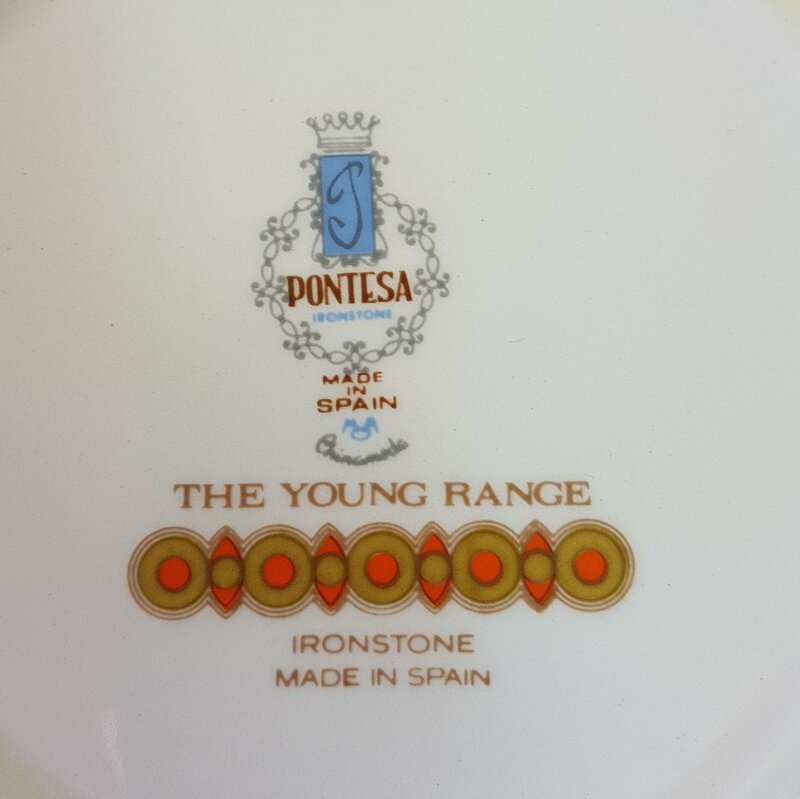 They have the full Pontesa printed backstamps.